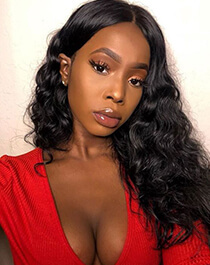 As we all know, hair, it is very important to most women especially for black women, a beautiful hairstyle can improve us self-confidence and add the enthusiasm to our life. When you find virgin remy hair brings you more beauty, I believe you have been a loyal fan of remy hair weave. You always see many types of the hair, such as virgin Brazilian hair, Peruvian hair, Malaysian hair, Indian hair...... Are you wondering which type of the hair you should choose? Here we highly recommend you virgin Brazilian hair. And we also would like to introduce virgin human hair, especially virgin Brazilian hair to you as below. Virgin human hair is cut from a donor directly without any processing. It is completely natural. Actually, it is real and raw hair donated by humans. So the hair has natural look as our own hair. Usually, we can dye, bleach and perm the natural hair weave to make different and gorgeous hairstyles as we like. However, we always can see many kinds of the hair on the website and wonder what kind of the hair we should pick. As a hair supplier with many years experience, we always receive more good feedback about virgin Brazilian hair from our customers. Absolutely, Brazilian hair is also the most popular hair in DSoar hair store. The benefits about virgin Brazilian hair. 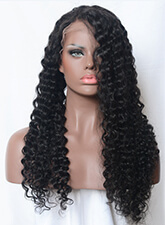 Virgin Brazilian hair definitely is the most popular and the best selling hair. 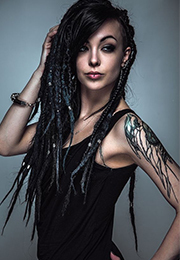 The hair has never been processed or treated with any chemicals. It is in a natural state with full cuticles in the same direction and in tact. Virgin Brazilian hair can be bleached, dyed and permed like our own hair. Brazilian hair is thick, soft and naturally wave. We can use it to make different hairstyles we like. Virgin Brazilian hair has gorgeous textures and can make great looking hair extensions. It comes in straight, wavy and curly patterns. Absolutely, we can also style the straight textures to other styles easily. However, we also need to protect and condition the hair when we style the virgin remy hair. 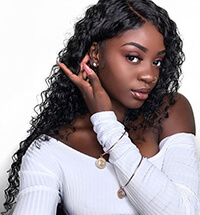 DSoar hair store have Brazilian straight, body wave, loose wave, deep wave, natural wave hair, Brazilan hair bundles, Brazilian lace closure, frontal, wigs......We focus to offer the best quality hair to every customer and are waiting for your coming.